The short story: I get to keep my house, and here’s how it happened. This post will be far less literary than most, but also far more literal and hopefully useful. It is inspired by a celebratory event that I have yet to emotionally celebrate. The title of the key document actually emphasizes the opposite of the outcome. I finally received the Foreclosure Mediation Report/Certification, which is one of the official documents that certifies that I have a modified mortgage. As most folks prefer to hear it, I get to keep my house. I’ve blogged about the process, laying out my emotions along the way in thousands of words. Anyone in a similar circumstance doesn’t have that much free time, nor have any need to live through my turmoils. They have their own. They may, however, benefit from seeing my steps, how long they took, and a few of the imperfections in the process. If you’re going through the threat of foreclosure, I’m sorry to hear it. I navigated my way through. While many outside the process see it as simple as: quit paying your mortgage and either a) get kicked out or b) stay in until they kick you out; the reality is that many people renegotiate their mortgage but it takes a long time and a lot of work. I am lucky enough that Washington State has non-profit services like Parkview Services that helped me immensely – for free. (Be wary of folks that charge a fee. Caveat Emptor.) Here’s my chronology with links to some of the posts. I won’t hand out advice unless it is requested. I suspect that if you read enough you’ll find your own. And to all who provided emotional, financial, and in some cases physical support, Thank you. August 2011 My finances are hit with a Triple Whammy. Start looking for a job. May 2012 Hunt for a realtor. Put my house on the market. October 2012 Sell my last shares of DNDN and a few others. October 2012 Make a partial mortgage payment. November 2012 Begin collection calls from the mortgage servicer. November 2012 Stop making mortgage payments. December 2012 Sign up my first major client. May 2013 Sign up my second major client. May 2013 Contact and attend Parkview Services‘ presentation. Thank them for the handiest graphic of the entire process. May 2013 Begin months of maintaining documentation of all bank accounts, scanning, and emailing them to appropriate parties. May 2013 Meet with Fannie Mae, Parkview Services attending. 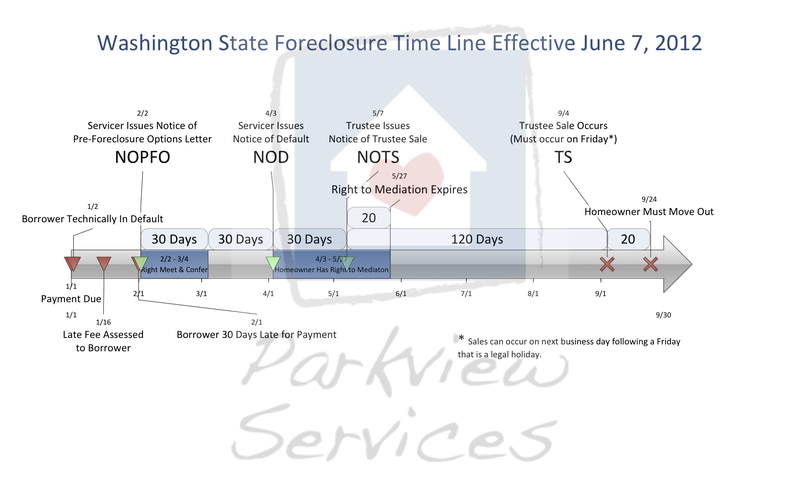 July 2013 File a claim (with the aid of Parkview Servicers) with the State’s Attorney General against the mortgage servicer because the Notice of Default was written incorrectly. July 2013 Receive notification of the first Mediation meeting – originally for September, slid until October. August 2013 Keep looking for a job but quit applying so energetically because my own business looks like a better possibility for income, and two years with only one full-time job interview is an impressive hint. August 2013 Receive a Streamlined Mortgage Modification offer within 48 hours of the time when the mortgage servicer requires receipt of the completed documentation. September 2013 My two biggest clients agree to double my hours. One asks for even more time and gives me a raise. October 2013 Mediation meeting miscommunication. Reschedule. October 2013 Mediation meeting miscommunication again. Reschedule again. November 2013 Mediation meeting happens but without the mortgage servicer. Reschedule again. Counselors and mediator decide to pick March 2014 to allow for three consecutive months of business financial data. January 2014 Receive phone call from mortgage servicer asking me about my response to their foreclosure. 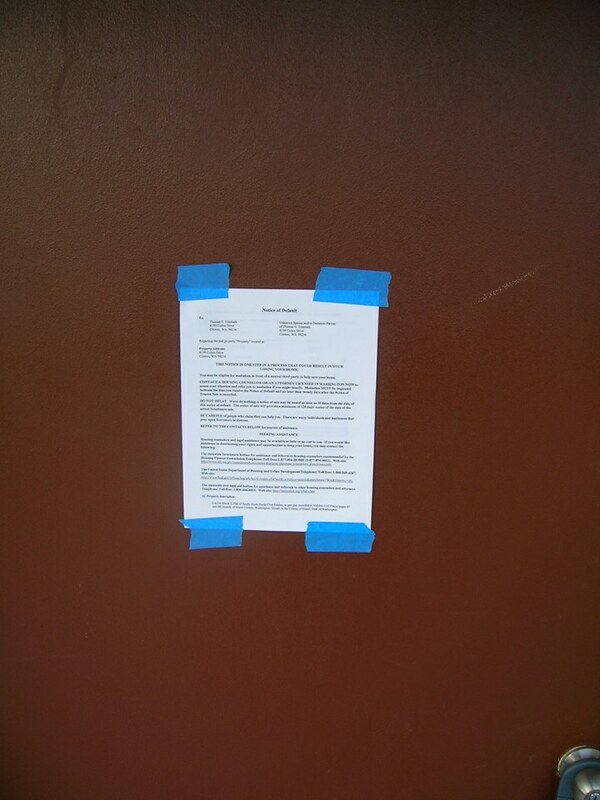 My response is that, as I understand it, there can be no foreclosure while we are in mediation. Their representative wasn’t aware that we were in mediation. I suggested they go talk to their lawyer. March 2014 Prior to the mediation meeting get a phone call from Parkview Services telling me that a new mortgage modification is being offered at significantly lower terms. I should expect an official document soon. Postpone the mediation meeting until July 2014. March 2014 Begin making trial payments. April 2014 Took the house off the market because a sale at the reduced price would cost me more money than I have. June 2014 Contacted mortgage servicer and Parkview Services because the mortgage modification documentation hadn’t arrived. June 2014 Make mortgage payment as if it was a trial payment because the documents haven’t arrived and the end of the month is approaching. Hope the amount on the check is the same in the documentation. 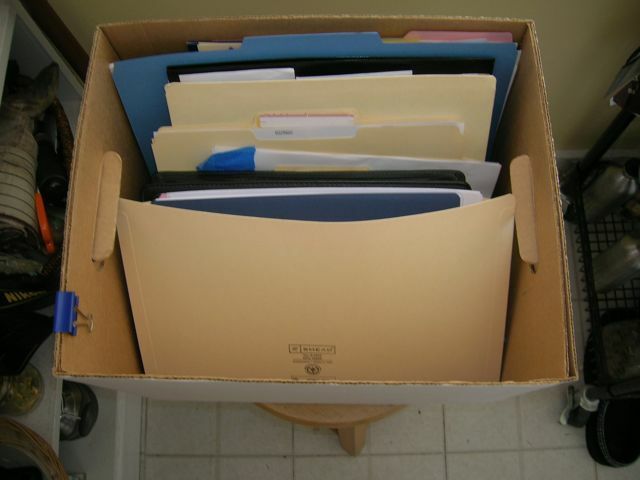 June 2014 Received the mortgage modification documents. Negotiated the proper way to fill them out. Mail them Express to get them there by the end of the month. July 2014 Learn that the mortgage servicer can’t find the documents, though the Post Office return receipt proves they were delivered. July 2014 My half of the official documents are returned to me, signed and stamped. July 2014 The Certificate from the mediator arrives verifying the details of the deal. August 2014 Have yet to receive a proper mortgage statement, but have started fixing the house again anyway. I plan to make this into a presentation. Anyone that wants to hear the story, contact me and we’ll see what we can do. I might charge a fee; you see, I have this mortgage I have to pay off . . . This entry was posted in mortgage, Uncategorized and tagged consulting, Dendreon, DNDN, HAMP, HARP, HCLE, housing, investing, mortgage, mortgage modification, New Road Map, Parkview Services. Bookmark the permalink. All right! Expect this will make a wild, humorous, and entertaining show…and you’ll wind up making a few bucks. Nice ending after all the craziness and aggravation. The first statement of the new phase arrived! As a friend said, “That’s is just fantastic … it’s a done deal and everything is in place.” Whew.